We went a little overboard…. 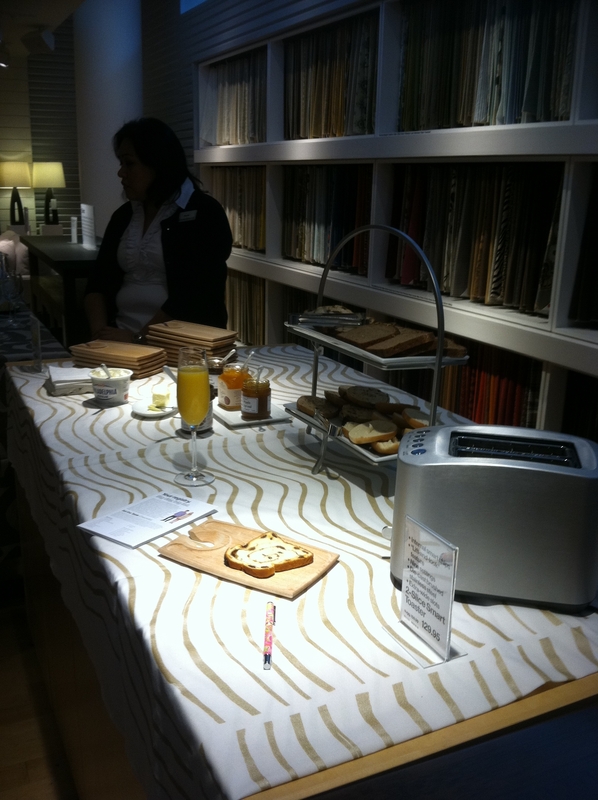 Today Adam and I went to the Crate & Barrel Registry Event and it was so much fun! 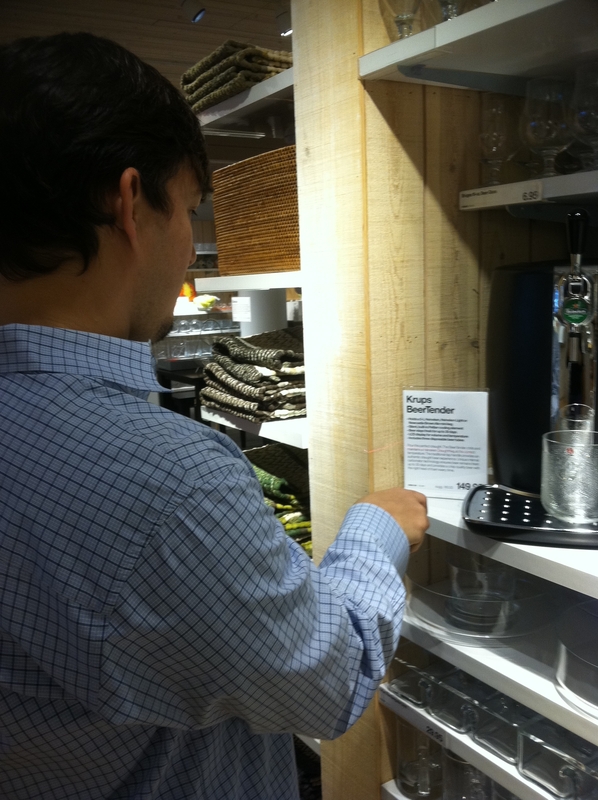 We found lots of goodies that we really need….and lots we do not really need. But I guess that’s the fun of registering for gifts. Tonight I will have to edit our registry online so that our friends and family don’t think we are crazy! The event itself was great; C&B really does a great job of putting it together. There was plenty of breakfast foods and drinks….Adam was a little too hopped up on the expresso by the time we left. 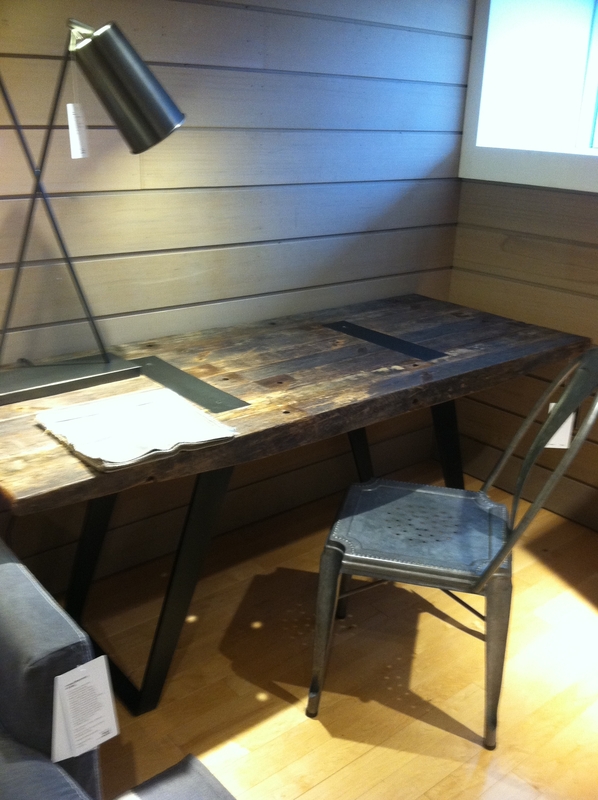 I fell into a deep LOVE with this reclaimed wood desk the moment I saw it. But it’s so pricey that it will most likely be removed from our list. 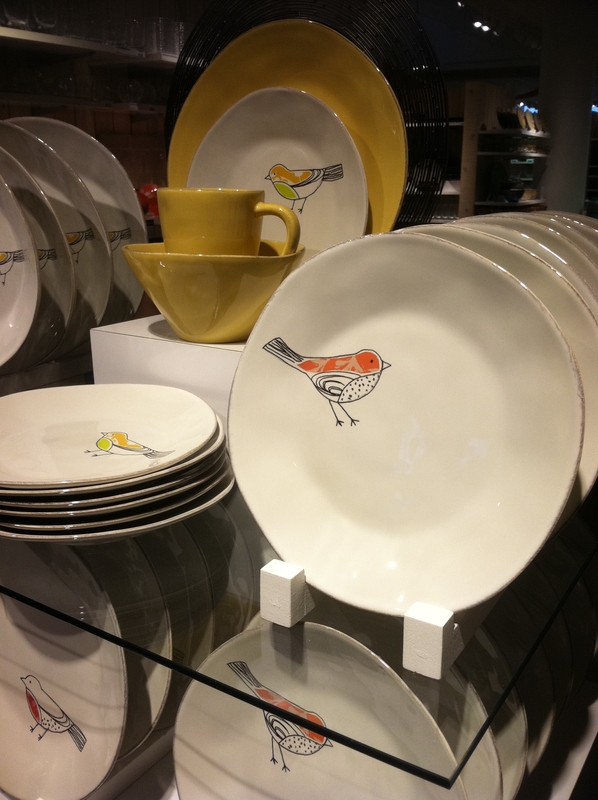 I also had a small affair with these little chickadee plates. 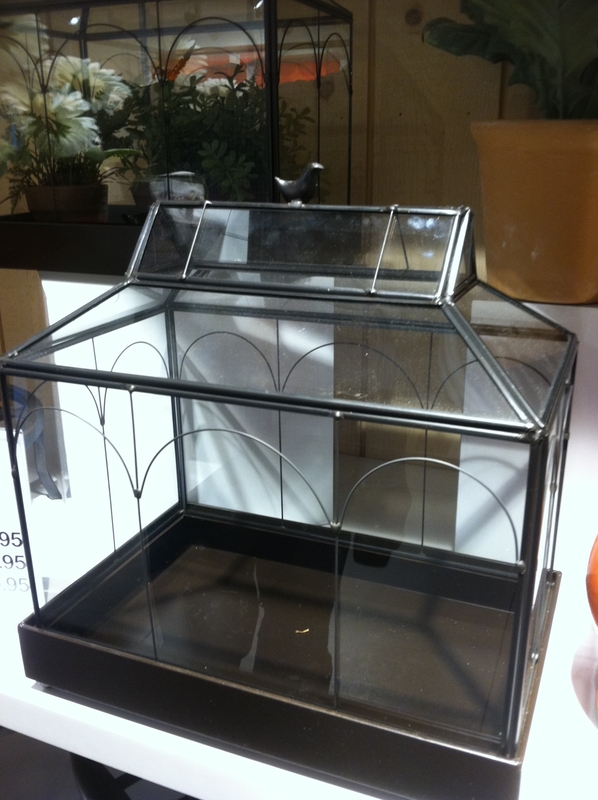 Sadly, the sales associate told me that because they are seasonal they may not be around in the fall. Luckily C&B has started a new feature on their registry site that allows couples to mark certain items as “favorites” if they run the risk of them not being in stock later. And this is our very first wedding gift! 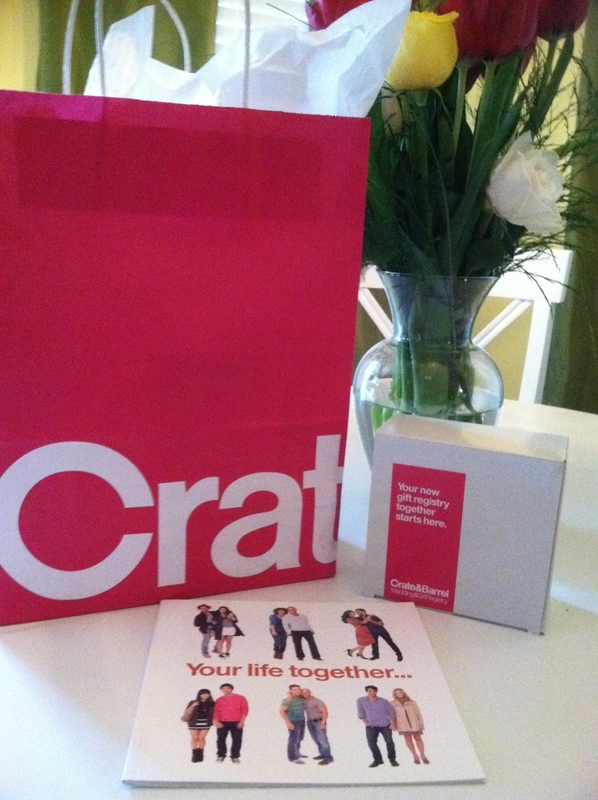 If you are a couple who has yet to register for gifts anywhere I definitely recommend RSVP-ing for a Crate & Barrel Registry Event near you! Posted in February 2012 and tagged chickadee plates, crate and barrel, fun, furniture, gifts, home, kitchen, party, reclaimed wood, registry, registry party, shopping, wedding, wedding gifts. Bookmark the permalink.